I couldn’t pass up a chance for a peek into How Google Works. 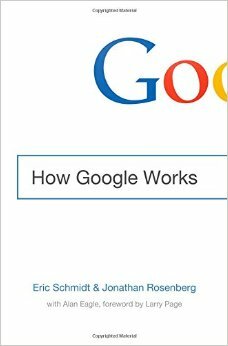 This book would be useful for HR folks as it delves heavily into their very rigirous hiring practice, their general staff code (my word not theirs) and how they encourage Googlers to develop such amazing projects. Some of the ‘code’ you’ve probably heard of – such as their famed 20% time (where you can work on what you like), their dress code (you must wear something) and their interesting interview questions (can you teach me something complicated that I don’t know?). Others were a surprise to me, for example they don’t pay people for successfful 20% time projects and decisions on promotions are not made by managers, but via committee.